Great shot… I like 6 degrees C. Nice! Thank you as always – I hope it cools for you soon! That’s a long wait. I’ve been reading about it. Take care. Thanks! Yeah. June is the worst month of the year. I am not a hot weather person, so this is a terrible month for me. The sky is dull with smog as well. I also discovered that Delhi, where I live, is now the most polluted city in the world. I seem to have a strange choice in my hometown..
What a beautiful picture, looks like an art piece! Great capture of the fog (which is not easy to do) – very moody…nice work! Stay warm. Thank you – yes trying to stay warm but now it is pruning time at work…8 hours or so out in the cold is hard!!! My joints are squeaking just thinking about that! Oh yes and then some – first few weeks are the most painful! absolutely lovely!! I love the mystery in the mist. Thank you – I think we both like a bit of fog! 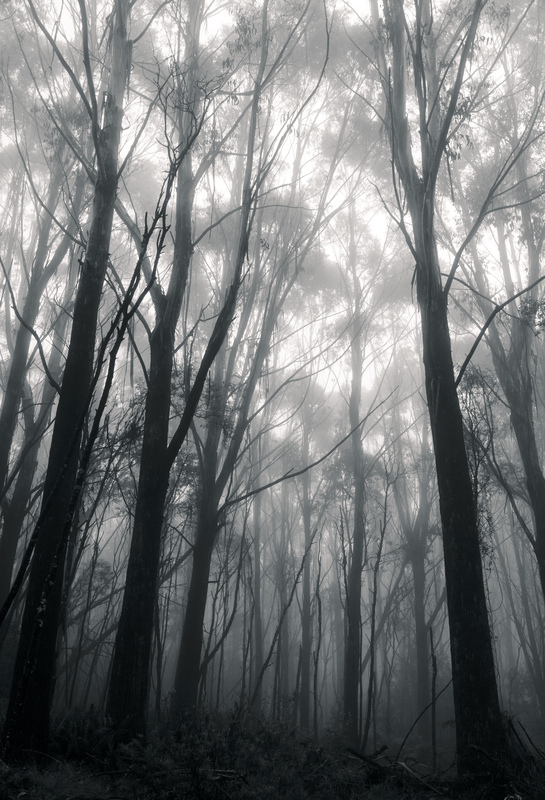 Fog in the trees is just great, and your photo really has the sense of what it feels like! Absolutely beautiful composition and tonal contrast, you could almost be there. I love it! Glad to hear – thank you! It sure is foggy … Nice shot! Wonderful atmospheric photo, Lisa. A walk in the brisk fog air shows is wonderful for the senses. Thank you LD, I do like the fog. Hope you’ve had a good weekend.